If you want to get to a destination in Singapore that makes you overwhelmed right you step onto, you should definitely make a visit to S.E.A. Aquarium. It promises to satisfy your « thirst » of sea admiration and exploration, the, give you unforgettable experiences during your trip to this energetic country. Launched in November 2012, Singapore Aquarium is located on Sentosa Island and has a capacity of 42.8 million liters of water. Setting foot in the amazing S.E.A. 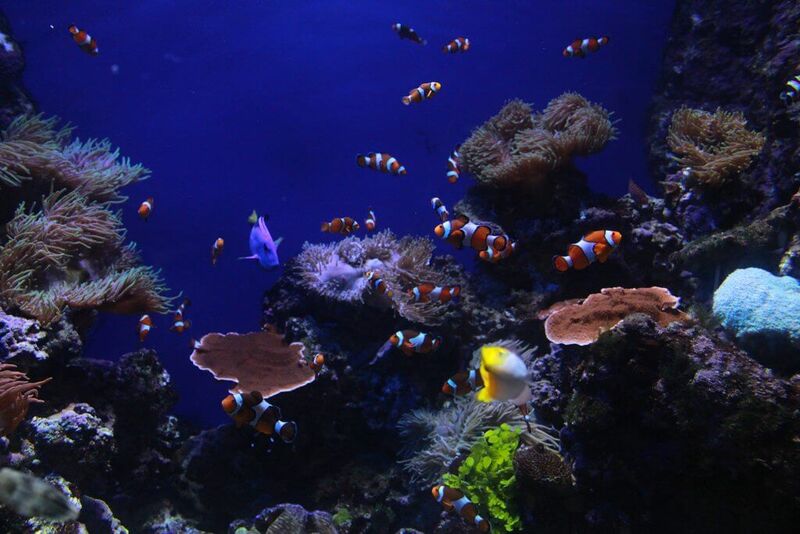 Aquarium, visitors will definitely be overwhelmed by the charming ocean featuring more than 100,000 sea creatures of 800 different species and 20,000 species of colorful corals. Moreover, the aquarium owns has the world's longest lazy river, with a length of about 620 meters. 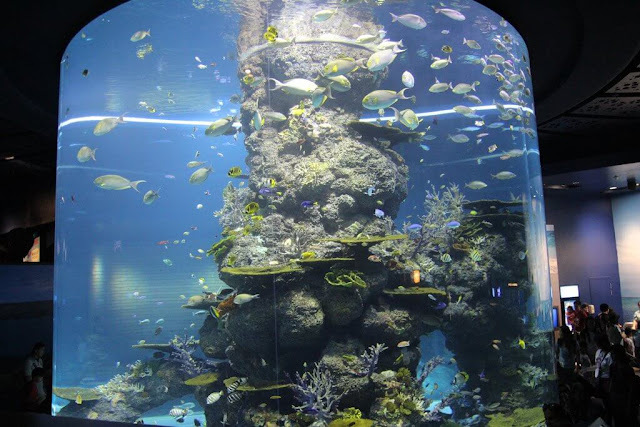 Having been known as the largest aquarium in Southeast Asia, S.E.A. 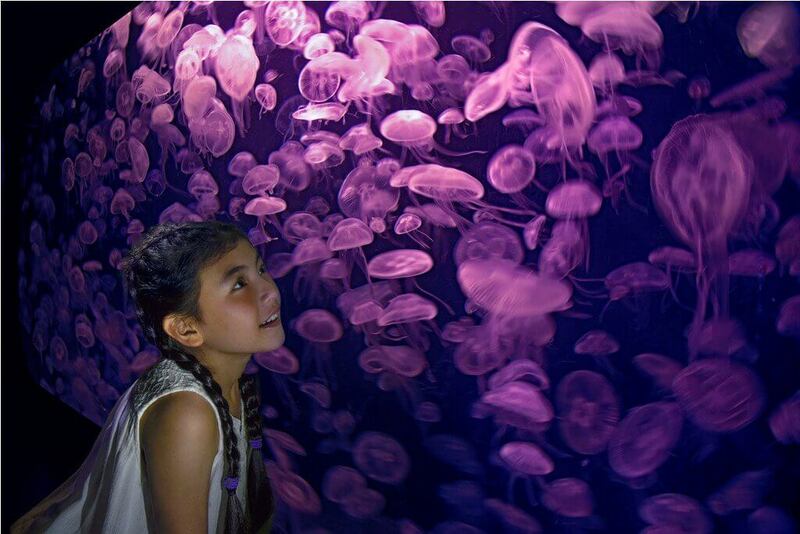 Aquarium promises to provide visitors with an exciting experience of exploring the seabed. Enjoying the feeling of walking around the diverse ocean featuring excellent design, modern technology, and state-of-the-art lighting system, tourists definitely indulge themselves into the spectacular ocean, then engrossed with it. 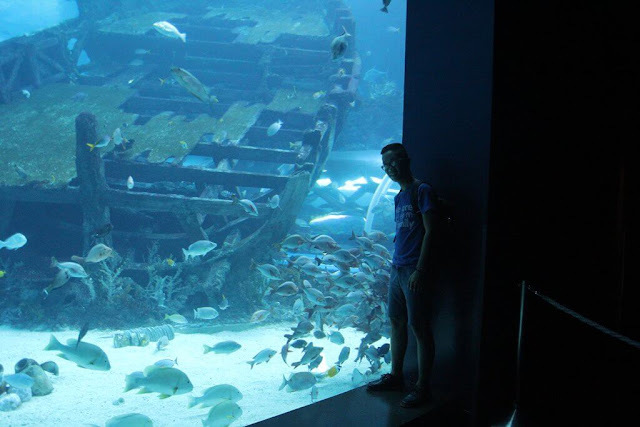 From the main entrance, visitors definitely admire and explore 10 artificial ocean areas designed to simulate 49 different seas in the world such as Southeast Asia, Karimata Strait, Java Sea, Strait of Malacca, Belgan Bay, Red Sea and other distant waters. 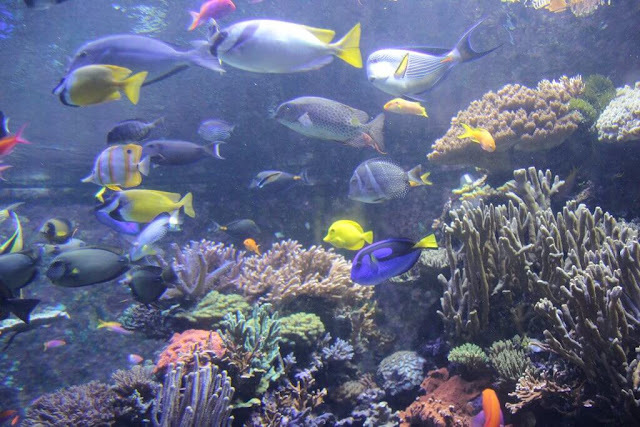 Among them, the most amazing area is the giant fish tank right in the heart of the Aquarium. It is made up of panes of transparent glass with the height of 8.3 meters and width of 36 meters. I’m sure that this fish tank will satisfy your good sense of admiration and exploration of sea creatures. In addition to the fish tanks and reservoir, the aquarium has been drawing the attention of visitors with screenings and data tables offering complete information on each marine species in S.E.A. Aquarium. 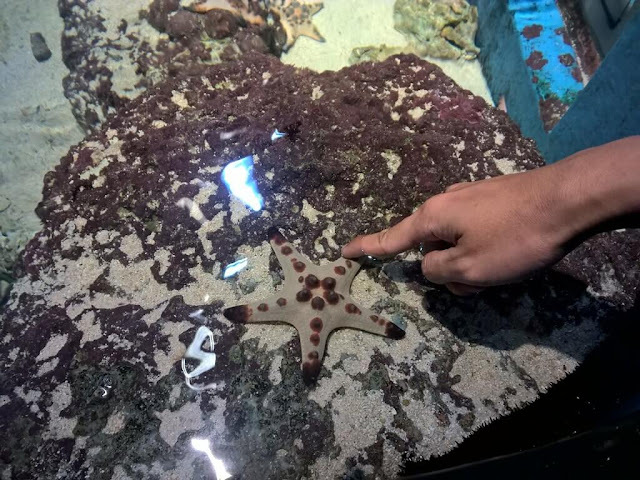 Interestingly, you will have a chance to directly access to the eyes - catching starfish at the Touch Pool area. If you want to touch the colorful starfishes, you should definitely drop by Touch Pool area. Get there, you do not only have a chance to touch the stunning starfish, of course but you are also introduced those on exhibition as well as their living habits and habitats. With the aims of providing tourists with new challenge and experience, Aquarium S.E.A. Aquarium always holds theme events throughout the year. Therefore, it’s totally worth a try. Featuring modern space, unique architecture, eyes - catching multi-dimensional stairs, E.A. Aquarium definitely enables visitors to walk around the « real – like »real ocean bed. Indulging yourself into schools of fishes freely swimming around you, standing still when seeing fierce sharks in near distance, or suddenly stopping by the charming beauty of colorful jellyfish. Sounds amazing !. Let’s fully use your imagination and grasp the « one – of – all – kind » experience of immersing in the ocean. In addition to the popular sightseeing ticket, you might order VIP tickets if you want a guide to accompany you as well as enjoy the privileges of visiting S.E.A. Aquarium. 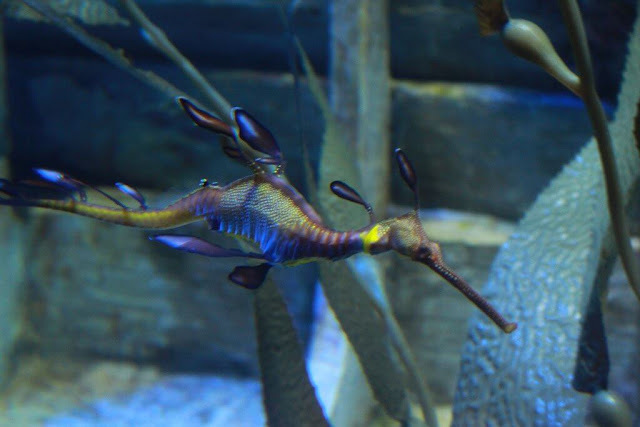 Thanks to VIP tickets, you do not need to queue up to explore the ocean, instead, you will be explained and provided with interesting information about the species that are being raised in the aquarium the guides. Furthermore, you are taken a family photo for free. Especially, visitors can relax and enjoy dinner at Ocean restaurant at S.E.A after going around the aquarium. Get there, you have a chance to savor the best food of famous chief and see schools of fishes swimming freely, a « one – of – all – kind » experience that is not for anyone at any time. 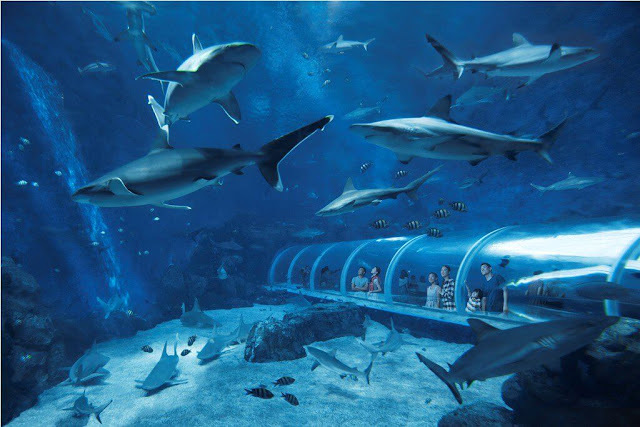 Thus, they promise to bring you unforgettable moments during your trip to that wonderful aquarium.